South Gallia sophomore Jared Burdette attempts a lay up during the second half of the Rebel’s win over Ohio Valley Christian on Thursday night in Gallipolis, Ohio. GALLIPOLIS, Ohio — A quick start led to a big finish for the Rebels as part of a season sweep on Thursday night. 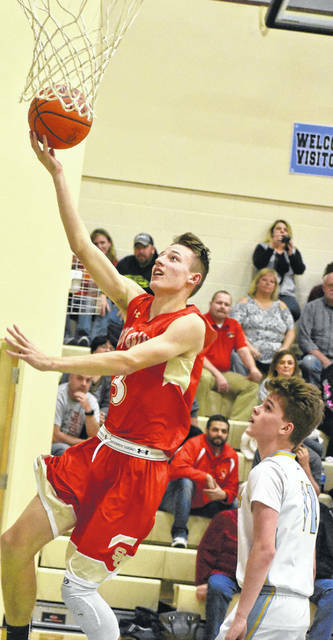 Visiting South Gallia surged to a 25-2 advantage in the first quarter and rolled to a 77-25 victory over Ohio Valley Christian in a non-conference boys basketball contest between Gallia County programs. Eight different players reached the scoring column as SGHS (4-9) made 31 field goals — including eight shots from beyond the arc — in the contest. “We wanted to come in tonight and set the tempo,” SGHS head coach Kent Wolfe said. “We played them about three weeks ago and we knew they would be a little better. They were much improved. But we needed to set the tempo. We needed to make it a track meet and get it up the floor. We were able to succeed with that. Turnovers proved costly for the Blue and Gold as they committed 21 giveaways in the first half. The Defenders (2-11) were provided their lone field goal in the first quarter by junior Andrew Dubs. The hosts increased their offensive production in the second period, as OVC managed 11 markers in the second quarter to cut the gap to 45-13 at the intermission. The Red and Gold maintained control in the second half, as they outscored the hosts 32-12 en route to victory. Braxton Hardy ended the night with a game-high 24 points, including two from long range. Curtis Haner followed with 22 markers, including four three-pointers. Eli Ellis was next with 10 points, while Jared Burdette and Bryce Nolan each had six points. Jaxxin Mabe and Austin Day were next with four markers and three points, respectively. Hunter Sanders rounded out the winning tally with two points. 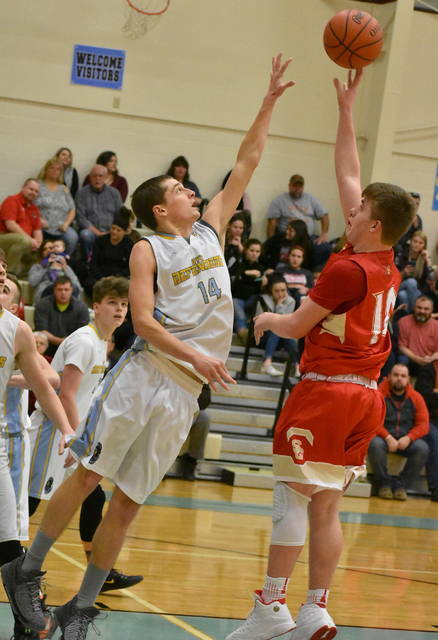 The victory for South Gallia served as a season sweep the Rebels downed the Defenders 83-27 on Dec. 29, 2017, in Mercerville. OVC made 12 field goals — including three trifectas — in the contest. Six different Defenders reached the scoring column as Dubs led the way with eight points. Justin Beaver was next with six markers, while Bryce Gruber chipped in three points. Asher Peck, Miciah Swab and Levi Anderson concluded the scoring for the home team with two points each. Defenders head coach Steve Rice assessed his team’s performance following another tough outcome. OVC returned to action Friday as it hosted Pike Christian. 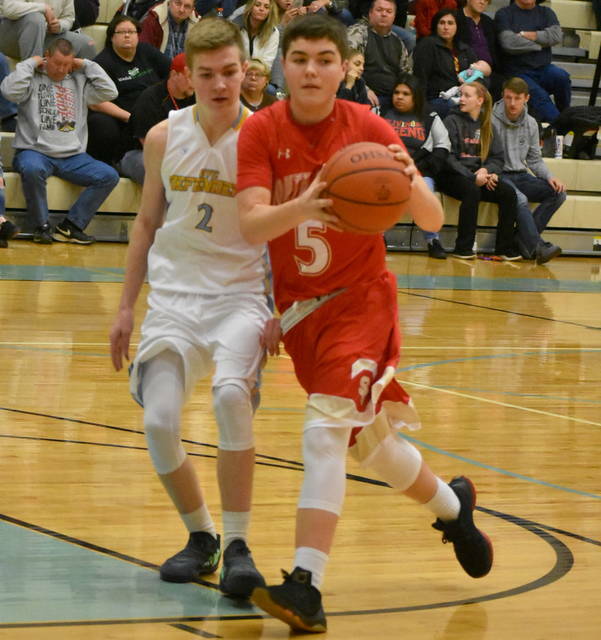 The Rebels returned to the hardwood on Saturday as they faced Symmes Valley at 3 p.m.